This page is frequently updated. Please click the "refresh" button for your web brower to ensure you are viewing the most current version of this page. Thank you. Guhan Venkatu is a group vice president in the Research Department of the Federal Reserve Bank of Cleveland. He leads the department's regional analysis and outreach group. RSVP's requested by 10am Thursday, April 11th. RSVP's required by 10am on Monday, April 15th to programs@akronapics.org . Also, please notify programs@akronapics.org if you made a reservation but will not be able to attend. We may be able to cancel your dinner if we notify the caterer early enough. Thank you. Feature Presentation: "BlockChain, IoT, 3D printing, and other emerging technologies in the Lean Enterprise and Supply Chain"
We have heard about additive manufacturing (3D printing), Industry 4.0, the Industrial Internet of Things and the Internet of Things, and many of us are now learning about Blockchain. In this presentation Becky Morgan will lead an interactive conversation about how to consider and prioritize these technologies in your company, if at all. Whether you've been involved in these technologies within your company for years, or you don't understand what any of them truly mean, you'll get value out of this meeting! The thought leadership of Rebecca A. Morgan, President of Fulcrum ConsultingWorks Inc., is expressed through consulting, writing, and speaking — the Johnny Appleseed of manufacturing operations strategy. Fortune Brands, Avery Dennison, VitaMix and Hunter Defense Technologies are just a few of the many companies that have turned to the thinking and expertise of Morgan over the past 26 years. Before founding her consulting business in 1990 Morgan served in leadership at Perdue Farms, Cleveland Trust, Stouffer Foods, TRW and Precision CastParts. RSVP's are not yet being accepted for this event. Website will be updated with more information as details become available. Growing up liking trains evolved into a career in transportation and logistics within the supply chain. Randy's first experience was with ABF Trucking as a clerk at the Youngstown, OH terminal during his undergrad years. After a brief stint as a graduate assistant, he officially entered the world of industrial transportation management at National Refractories and Minerals. At National, the real education about barges, containers, rail cars and trucks began. After a brief stint as a fleet manager for a chemical distributor, a prior boss recruited him to Premier Magnesia for a twenty-year run managing truck and rail freight for a chemical manufacturer and distributor including customer-facing interactions with suppliers and customers. Currently, Randy is running the shipping department at the Walton Hills location of Valtris Specialty Chemicals. He holds a BSBA in Transportation Management and an MBA from Youngstown State University. Randy attended the Akron APICS Chapter CSCP classes and obtained his CSCP in 2008. Randy spends free time enjoying family, hiking and listing to German heavy metal music. He is a native NE Ohioian, avid Cleveland Indians fan, and a member of APCIS, CSCMP, and NMRA. RSVP's requested by 10am Thursday, February 14th. RSVP's required by 10am on Monday, February 18th to programs@akronapics.org . The world was full of uncertainty in 2018 as importers and exporters faced a fast-paced and every changing regulatory environment. High-impact changes cut across industries including the Section 232 tariffs on steel and aluminum, the Section 301 tariffs on imports from China, and the ongoing NAFTA negotiations resulting in the United States-Mexico-Canada Agreement (“USMCA”). Certain sectors also faced increasing seizures for intellectual property rights related concerns and increasing audits including for AD/CV compliance. The stakes are higher now more than ever. Every domestic company with foreign suppliers, customers, or operations is faced with the complexities of trade compliance. At best the compliance world is full of administrative considerations requiring close attention. At worst it is a world of supply chain interruption, unforeseen cost, civil fines, criminal penalties, and negative headlines. A little preparation will go a long way in 2019. Jonathan Todd, Partner in the Benesch Law FIrm’s distinguished Transportation & Logistics Practice Group. Jonathan advises clients on transportation, logistics, warehousing, import compliance, export controls and economic sanctions, and related supply chain management issues. He leads those transactional and regulatory matters for manufacturers, distributors, retailers, third party logistics providers, brokers, forwarders, intermediaries, and carriers of all modes. His work spans the wide range of challenges that arise when clients buy and sell regulated companies, purchase and offer regulated services, procure and produce goods, deliver those services or ship those goods around the world, and manage regulatory compliance or respond to enforcement actions. RSVP's needed by 12 noon on Wednesday, January 16th to programs@akronapics.org . While Lean Six Sigma has been widely accepted in manufacturing and service organizations, it’s acceptance in higher education has been slow. Universities are beginning to teach the concepts of Lean Six Sigma in courses, yet even fewer are actually applying these tools to their operations. Training and energizing students, faculty, staff, and administration to use Lean Six Sigma requires an interactive approach. Active participation by the learners is necessary for complex topics to be truly understood. This presentation will address a different model for teaching probability and statistics leading to an energized application of continuous improvement. To understand and remember a subject, according to experts in the field, three areas must be in place: useful, relevant and interesting. It is necessary to transform the classroom from a passive to an active environment to improve the learning experience, increase content retention, and improve student engagement. This presentation will demonstrate several unique and unusual techniques to teach probability, statistics, and design of experiments including two innovative audience participation card illusions that provide creative ways to engage students. This will be a non-technical and entertaining show. Spouses are welcome to attend. Bill Hooper is an adjunct Professor for the Center for Professional Studies in Technology and Applied Research at Purdue University at West Lafayette, Indiana in addition to President of William Hooper Consulting, a firm he started in 2012 with the mission of teaching and applying the concepts of Lean Six Sigma for small and mid-sized companies. His company’s business model is centered around innovative courses taught primarily hands-on using card and coin illusion, the sport of juggling and experimental helicopters to teach such areas as probability, hypothesis experimental method, statistical process control, capability analysis, regression modeling and Design of Experiments. Bill has taught the courses throughout the US, Canada and internationally in Africa and the Middle East. He has applied the model for large scale improvements in quality, downtime, rework elimination and cycle time reduction for manufacturing and transactional companies. RSVP's requested by noon on Tuesday, December 11th to programs@akronapics.org . Feature Presentation: Raw Materials and their Supply Chain -- How materials-centric solutions and corporate relationships can work together to improve the supply chain process. Nate Bulcroft, Business Development Manager for ASM International. RSVP's needed by 3pm on Monday, November 12th to programs@akronapics.org . Humorous, engaging, and based on a comprehensive multi-year study, Mr. Roeder's signature keynote receives ovations everywhere it's delivered. As described in his December, 2017 TEDx presentation under the same name (over 10k views), Mr. Roeder colorfully outlines the six disciplines individuals need to lead change. A Sixth Sense for Project Management® is based on Mr. Roeder's Amazon best-selling book with the same title. Mr. Roeder has delivered this presentation over 100 times to groups of all sizes from Washington State to Boston, from Canada to Panama and Luxembourg. Tres Roeder is a change agent. Working with businesses, communities, and governments - using project and change management - he drives positive change. He is founder and president of Roeder Consulting, a leading professional services firm expert at project management and organizational change. He is the author of two Amazon best-sellers, A Sixth Sense for Project Management and Managing Project Stakeholders. Mr. Roeder has been quoted by leading publications including The New York Times, The Wall Street Journal, and MSN Money. He has worked with John Deere, Goodyear, Lowes, Avery Dennison, Chrysler, Vitamix, KeyBank, and other top brands. Mr. Roeder is a City Council member in Shaker Heights, Ohio where he chairs a task force on 21st Century Government. He also serves on several boards, including, the Northeast Ohio City Council Association where he’s focused on regional collaboration. He holds a BA in Economics from the University of Illinois and an MBA from the Kellogg Graduate School of Management at Northwestern University. He spends free time enjoying family, reading, and participating in triathlons. ISO 9001 is the international standard that specifies requirements for a quality management system (QMS). Organizations use the standard to demonstrate the ability to consistently provide products and services that meet customer and regulatory requirements. ISO standards are reviewed every five years and revised when needed. Organizations certified to the ISO 9001:2008 standard will have a three-year period to transition to ISO 9001:2015. When the transition period ends in September 2018, ISO 9001:2008 certificates will no longer be valid. How do you know you will pass? Is there anything you can do to make your chances of successfully completing the certification audit better? Stephen Gazy of SG Consulting will help you understand the new maze of requirements and specifically, how the changes will impact buyers relative to risk and measurement throughout the supply chain. RSVP's needed by noon on Monday, September 17th to programs@akronapics.org . Reservations are required. Please RSVP by 4pm on Tuesday, May 1st to programs@akronapics.org. solutions to identify, retain and develop talent. With fifteen years experience, he has conducted numerous training and development programs in a variety of industries, both domestic and international. In his presentation, Mark will also share some insights on his approach to help his client companies hire and develop key individuals for today and tomorrow. RSVP's needed by noon on Wednesday, April 18th to programs@akronapics.org . RSVP's requested before noon on Monday, April 16th. Professional expertise on current headliners "MeToo" and "TimesUp"
Job seekers market - what does that mean? RSVP's needed by noon on Monday, March 19th to programs@akronapics.org . RSVP's requested before 9pm on Wednesday, March 14th. What are Hiring Managers and Executives Expecting? Russ has over 30 years of supply chain experience. He previously served as VP of Supply Chain for the Tennessee Valley Authority. Russ earned a Bachelor's degree from San Diego State University, anda Juris Doctorate from Capital University Law School. RSVP's requested by noon on Monday, February 19th to programs@akronapics.org . Early RSVP's, preferably before 9pm on Wednesday, February 14th, are appreciated. Please notify programs@akronapics.org if you made a reservation but will not be able to attend due to an emergency. We may be able to cancel your dinner if we notify the caterer early enough. Thank you. Managing Partners of the Learning Service, Ltd. Capability Indices -- Are they capable? RSVP's requested by 9am on Wed., November 15th to programs@akronapics.org . Early RSVP's are appreciated. RSVP's requested by noon on Wednesday, October 18th to programs@akronapics.org . Please include in your email's subject line whether you are making a reservation for 10/17 or 10/19. Early RSVP's are appreciated. How does procurement stay agile in an increasingly chaotic world? What will procurement look like/function live in five years - increasingly strategic? What is a platform and why does it matter to Procurement? How will Artificial Intelligence affect my job? RSVP's requested by noon on Monday, October 16th to programs@akronapics.org . Please include in your email's subject line whether you are making a reservation for 10/17 or 10/19. Early RSVP's are appreciated. This event will include an informational overview of the current programs offered by Habitat for Humanity of Summit County, including group builds, exterior home repairs, ReStore volunteers, special event fundraisers, etc. Speakers will include Jim Sukys (Vice President & COO), Mary Shepherd (Family & Volunteer Coordinator) and Laura Fiegelist (Communications & Marketing Coordinator). The tour is free. Dinner is not included. Some attendees will be meeting for dinner afterwards at Primo's Deli, 1707 Vernon Odom Blvd., Akron, OH 44320. RSVP's requested by noon on Monday, November 14th to programs@akronapics.org . GPO purchasing is a best practice for managing a company's spending. This presentation will include group sourcing, category lifecycle management, and how to maximize stakeholder engagement with a GPO. RSVP's requested by noon on Monday, October 17th to programs@akronapics.org . Cost includes green and cart fees, hot dogs at the turn, awards dinner, and a chance to win prizes. Golf attire is required, including collared shirts. No steel spikes allowed. If you are interested in joining us, please email programs@akronapics.org by 5/20. Prepayment by check or credit card is required to hold your reservation. Research has shown that people with average IQ's frequently outperform those with high IQ's. Decades of research point to emotional intelligence as being a key factor that helps star performers perform better than the rest of the pack. Emotional intelligence is different than your intellect, and there is no known connection between your IQ and your emotional intelligence. Emotional intelligence involves a set of skills that can be acquired, developed, and improved with practice. People with high emotional intelligence have both strong personal competence and social competence. Many companies now use emotional intelligence testing to evaluate potential new staff and candidates for promotion. This after-dinner presentation will share an overview of emotional intelligence, enable attendees to take an EI quiz, and learn ways to improve their emotional intelligence. 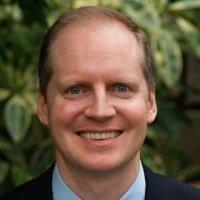 Jeffrey Lubash is president of Affiliated Services Group, Ltd., a management consulting firm. Jeff’s specialties include teaching and helping clients implement Operational Excellence methods such as Lean Enterprise, Six Sigma, High Performance Workplace, Value Chain and Supply Chain Management. Jeff is a seasoned executive, who in addition to his extensive line management experience, has been an accomplished consultant for 27 years. Jeff’s line management experience includes General Management, Supply Chain Management, Operations Management, Engineering and Plant Management. He effectively combines an MBA and an engineering degree with decades of practical experience. Jeff’s is an APICS Master Instructor for CSCP (Certified Supply Chain Professional), CPIM (Certified in Production and Inventory Management) and Lean Enterprise, as well the current Akron APICS Chapter President. There is no charge to attend this professional development event for APICS members. All attendees must have a valid drivers license ID with them. Space is limited. This is a joint event with ISM Akron. Tour logistics require us to all arrive in the same vehicle. APICS members should RSVP by 11am on Wed. 4/14 by sending an email to programs@akronapics.org . What publications / resources guide a successful program? VP & General Manager, Star USA, Inc.
RSVP's requested by noon on Thursday, March 10th to programs@akronapics.org . Reservations will still be accepted until noon on Monday, March 14th. The Global manufacturing sector has undergone huge changes since the fall of large scale Socialism/Communism in the world. Only in a Capitalist economy can a country leap into the first tier of manufacturing nations, within 20 years. Manufacturing remains critically important to developing and mature economies. In developing countries, it continues to provide an economic revitalization from subsistence agriculture to rising standards of living. In mature economies, it provides the catalyst for ground breaking innovation, research and development, productivity improvement and globalization of markets; bringing effectiveness and efficiency to the world’s economies. Manufacturing is also the catalyst for increased demand for personal services, as people become more affluent. Business leaders and Government entities cannot rely on old economic models to fuel the new innovative and globalized business environments. The future of manufacturing will require a significant restructuring of existing economies, regulations and business strategies. Joe is an accomplished executive with domestic and international manufacturing and consulting experience specializing in turning around underperforming organizations. Joe is a six-sigma champion and lean manufacturing expert. He has presented at over 100 different business and academic venues, both internationally and domestically, and is a consultant to several Fortune 500 companies. A veteran project manager of 9 ERP system installations, Joe has had excellent results with his unique change management skill set. He can manage programs for all levels of an organization from shop floor personnel to executive management. APICS certified at the fellow level (CFPIM) and a 17 year veteran teaching APICS certification courses for the Cleveland Chapter, Joe has served APICS on many local board positions and as Region 3 Chapter Development Director during 2007. Currently, Joe is an Assistant Professor of Business and Technology at Kent State University and Owner/Operator of The Muscatello Group, a Consulting Company and Fina-Day, Inc., a Property Management Company. He is also a founding Board Member of Emerald Rose, an elderly mental health facility. Joe has purchased and sold several companies after implementing his turnaround strategies and he has started several companies of his own. Bruce has been involved in risk mitigation in aerospace and automotive at all levels. His primary focus was supply chain/procurement to mitigate interruption to supply operations. His drive was to have an integrated approach to the sustainability of goods and services for programs and company management. RSVP's requested by noon on Thursday, February 11th to programs@akronapics.org . Reservations will still be accepted until noon on Monday, February 15th. Jack Hess is the founder and CEO of Spend Management Institute. With nearly two decades of End to End Source to Pay spend management experience, Jack has helped some of the world's leading brands drive greater savings through their supply chain and S2P operations while aligning S2P successes to uplifting financial outcomes such as EPS, Operating Profit and Working Capital. Jack began his Sourcing and Procurement career at Emerson Electric and Diebold where he held various executive level positions in corporate procurement partnering with finance. RSVP's requested by 9am on Friday, January 15th to programs@akronapics.org . Reservations will still be accepted until noon on Monday, January 18th. Tim will give his views on the national economic outlook, including selected international developments. Tim is a research analyst in the Research Department of the Federal Reserve Bank of Cleveland. His primary interests include applied microeconomics, economics of education, consumer finance, and macroeconomics. A native of Monroe, Michigan, Tim is a graduate of the College of Wooster and holds a BA in economics. RSVP's requested by 9am on Friday, October 9th to programs@akronapics.org . Reservations will still be accepted until noon on Monday, October 12th. "Member Appreciation and Top Management Night"
Big Data Presentation summary: there’s a lot of noise currently about Big Data. John Sulka will explore what it is and what it’s not, what comprises Big Data and why is it different from what’s been done in the past. From Hadoop to the shop floor to the Internet of Everything, you should get a picture of whether Big Data currently or will in the future have an impact on your life and your work environment. Included in the presentation will be an overview of the technology behind Big Data as well as examples of Big Data in today’s world. John Sulka is a Solution Architect at Information Builders for the past 10 years. John has over 35 years of experience in manufacturing and information technology at companies like General Electric and General Tire. He also has previously worked as a Manufacturing Consultant at both SAP and i2 Technologies. John currently serves on the Akron Area APICS chapter as Director of Membership and is a Past-President of the chapter. He has been a presenter at both APICS Professional Development Meetings and Regional Conferences. RSVP requested by noon on Monday, May 11th to programs@akronapics.org. In your email, please indicate the method of payment (cash, check or credit card) you will be using for this event. Ron Emery is an author, educator, mentor, entrepreneur and businessman from Northeastern Ohio. Ron runs an active consulting organization focused on process and supply chain optimization as well as a manufacturer's representative's agency that focuses on process technologies that can dramatically improve your business. Ron is the founder of Alchemy Associates and Empowering Healthcare Solutions, LLC. His client expertise includes experience in Europe, Mexico, Japan and sourcing in the Pacific Rim. Ron has consulted and worked in many diversified industries including Electronics, Electronic Manufacturing Services (EMS), Pharma, Automotive, mining, Manufacturing, Utilities and other process related industries and Oil and Gas. His line experience over 20 years includes an executive position as Vice President Global Supply Chain and Chief Procurement Officer for a $2 billion manufacturer of diversified manufactured goods, Vice President Global Sourcing for a $2.5 billion global manufacturer of mining equipment and as Director Global Commodity Management for a major manufacturer in the EMS space. Ron's consulting experience encompasses work in the residential door market as well as work for a large global diversified manufacturer of diesel engines and other heavy industrial products. Kevin earned a B.A in Industrial and Labor Relations and has his MBA from Case Western University. He has 25 years of experience in Human Resources, 23 with Emerson which includes 6 different sites in 5 states. Kevin has been serving as the Ethics office as well as the immigrations officer for over 6 years for one Emerson Business unit. He has also served as the Trade Compliance officer. Kevin is also Board Chairman for Dancing Wheels Company and School in Cleveland Ohio. Lynn Taylor is founder and president of Taylor Protocols, Inc. just outside Seattle, WA. He created the Core Values IndexTM, the first human assessment that characterizes and quantifies the innate unchanging human nature. Abraham Maslow identified this innate nature in his seminal book, Toward a psychology of Being, as the key to understanding who a person is and where he fits best in the world. Taylor has performed more than 200 successful turn-around projects over the past twenty years. He and his Core Values IndexTM have been employed to increase human productivity, and to increase the leadership performance in hundreds of companies including: ALCOA Primary Metals, ATT Wireless, Prudential Real Estate, HOK, Merrill Lynch and many others. These speeches, seminars and workshops are unique. Taylor delves deeply into business strategies and tactics and deeply into an understanding of and the mastery of each person's individual core nature. The combination of these two diverse subjects brings a new level of personal and business mastery within reach of all participants. Ron Emery is an author, educator, mentor, entrepreneur and businessman from Northeastern Ohio. Ron runs an active consulting organization focused on process and supply chain optimization as well as a manufacturer's representative's agency that focuses on process technologies that can dramatically improve your business. Ron has just authored his first book entitled The Dysfunctional Organization - why we will never be competitive in America again and is working his second, entitled Growing comes from planting seeds - A handbook to mentoring, coaching and developing business relationships. Ron also has an article to be released in the September issue of APICS Magazine on Vertical Integration and its effect on the supply chain. Ron has a distinguished career encompassing all components of the Supply Chain as a Senior Executive with diverse background in materials management, strategy formulation, logistics, customer service, fulfillment, global strategic supply chain, procurement, sales, and operational planning, project management, quality and engineering. Ron has had board-based international experience with a record of promotion to highly responsible assignments. He has lived in Canada and Finland and has global experience in APAC region as well as Mexico and other Low Cost Countries. Skilled in anticipating strategic needs and cost effective methods utilizing lean and continuous improvement processes. Ron believes in developing relationships within the organization providing excellent rapport with internal/external customer. Broad experience in consulting as well as corporate executive leadership Ron holds a Master's degree in Materials Management and has completed work toward Ph.D. in Management. Ron sits on the supply chain advisory council of Eastern Michigan University as well as an adjunct faculty member teaching MBA courses at Youngstown State University. He is a frequent roundtable discussion leader CASME (Category and Sourcing Managers organization that facilitates the exchange of information between procurement managers) on a global basis on indirect supply chain. He is also engaged with Kent State's Workforce Development team on organizational, operational and supply chain consulting and training opportunities. Ron has also served as President of the Youngstown Chapter of APICS as well as on their board. This is an "Akron APICS members only" event due to space limitation. There is no charge for this special dinner meeting. This meeting was originally scheduled for March 12th, but a major snow storm necessitated we reschedule it. Vegetarians may order a special meal when they send in their RSVP. Additive Manufacturing, Rapid Prototyping, 3D Printing are all terms that describe a transformative technology about to change the way parts are designed, produced and procured. Public awareness is increasing as splashy examples of the technology are covered by the media. The excitement for industry, however, is in the transition from prototypes to functional parts without tooling and upon demand. The presentation will discuss the technologies, equipment and capabilities that are already firmly established and the near term developments that will have major impact on the way we do business. Joseph E. Sumerak, President/Owner of 4D Parts Direct a 3D Printing Service Bureau in Broadview Heights, has had a long career of adapting new technology in high tech manufacturing. Sumerak is a CWRU graduate with Polymer Science degrees and a history of engineering accomplishments in design and manufacturing of composite materials, machinery and tooling. This is the fourth venture by Sumerak in a high tech field and considered by him as one of the most exciting in scope and future potential. Sonya Weiland, President of WeilandWorks Consulting, has focused her career on building positive team environments and is a recognized strategic partner in HR to many organizations in Northeast Ohio. Sonya’s expertise includes the design and implementation of training, creating HR processes, performance management systems and evaluations. She has worked in a variety of industries including manufacturing, banking, construction and non-profit. Sonya specializes in creating and delivering training programs that lead to stronger, more productive teams. Sonya is recognized for her energetic and interactive training style; delivering topics such as Communication, Teamwork, Leadership, Goal Setting, Time and Stress Management. Denise has a Ph.D. in Organizational Systems, and a Master’s degree in Counseling and Human Development, and is trained and certified in biofeedback. She is certified to administer the Emotional Competency Inventory (ECI), a 360 review of competency areas that measure self-awareness, self-management, social awareness, and social management. To further support the interpretation of the 360, she has taken part in Leadership through Emotional Intelligence training at Case Western Reserve University. Prior to starting Agler Consulting Denise had the privilege to serve as a counselor for 21 years; chosen to present five times at the Ohio Counseling Association annual meeting, and twice at the American Counseling Association annual meeting. Previously an adjunct professor at John Carroll University, and currently an adjunct at Walsh University’s Deville School of Business. Denise plans to be a lifelong learner and to promote the learning organization. Mark's Bio: Mark helps small businesses get the most from their brand investment. His no-nonsense approach is based on 25+ years as principal of two branding firms and as a college professor who has studied what makes great brands tick. Mark is also a compelling speaker, trainer and coach, helping business owners and employees build strong brands that matter to their niche markets. Whether you're looking to get more mileage from your brand through social media, build a high performance team of brand ambassadors, or overhaul an underperforming brand, Mark has the tools to get you back in the fast lane. Christine's Bio : Christina helps you tap the incredible power of positioning! She creates a safe space for open dialogue among executives, emerging leaders and staff. Christine's approach is all about results, based on her 30+ years as a communication expert. She is also the author of Everything I Do Positions Me: The Simple Path to Professional Success. Whether delivering a compelling keynote address, delivering content-rich training programs, coaching individuals or facilitating strategic planning retreats, Christine does it all with humor and grace. It's no wonder people call her the Communication Queen. The FedEx Ground facility uses conveyers, bar code scanners and other technology to sort the outbound shipments. The tour includes climbing ladders to see certain parts of this indoor facility, so please dress appropriately. No charge for this very special members only event. Since space is very limited, early reservations are recommended. Reservation deadline is noon on 10/22. Please email programs@akronapics.org. How is a local Fortune 150 Global Company’s Business Continuity process structured? How do they consistently prepare for, respond to and recover from a varietyof human, natural and technological incidents with success? By using an all hazards approach and applying principles of continuous improvement after gap analysis of major incidents, its business continuity teams work diligently to reach their goal of meeting the needs of their customers and of showing business value. Learn how these principles were applied during the recent Chilean port strike which had a major affect on the Latin American region’s ability to obtain raw materials, manufacture products and maintain its supply chain. Mike is responsible for strategic and tactical Business Continuity related activities for Goodyear's global operations, which include a very complex supply chain. He has over 25 years experience in all aspects of Business Continuity planning, including Incident (Emergency and Crisis) Management, Crisis Communications, Business Impact Analysis, Disaster Recovery and Risk Management. Goodyear’s global business continuity process has been recognized both internally and externally as “a real competitive advantage”. Global teams have effectively responded to and recovered from over 750 human, natural or technologically based incidents since the team’s inception. Numerous articles on their team's success with incident planning have been published in local news media, including being featured as a "Best Practice" in the private sector on The State of Ohio's Web-site. Mike holds multiple industry certifications, is a mechanical engineer, an author, holds the rank of 5th degree Black Belt and is an Eagle Scout. Donations and registration fees accepted via credit card, check, or cash. Contributions over the amounts listed above receive special recognition. All proceeds will go to the Akron APICS Student Case Competition fund. Root beer served to attendees under age 21. Other beverages also available. Reservations requested before noon on Sunday, March 17th. What is world class transportation service? Can companies use transportation to provide value to customers and gain competitive advantage? Transportation Management in a large manufacturing company extends globally and employs different modes that provide for the optimal mix of cost and service. There are stakeholders from various functional areas such as Procurement, Sales and Marketing, Finance and Accounting. Continuous improvement in Transportation is critical to achieve Lean and Just in Time objectives. Six Sigma methodologies are used to improve service. Network design enables the company to minimize inventory, and provide the best possible service. This after-dinner presentation will provide an overview of how world class transportation management provides value to customers increases a company’s competitiveness and profits. Rick has more than 20 years of logistics and transportation management experience in the military and the trucking industry. In his current position he drives large-scale operations transformation, quality improvement and financial management. He directs multi-location logistics and transportation operations. He works collaboratively with suppliers and customers to deliver on-time, top-quality performance and sustainable revenue and cost improvements. He managed operations at Roadway, Con-Way and Central Transport. In the Army Rick served as an officer. He commanded combat and logistics units. He was a Tank Platoon Leader, a (S4), Logistics Staff Officer and Instructor of Logistics. As a Company Commander he deployed his unit to the Persian Gulf for Operation Desert Storm. Rick attended Walsh Jesuit High School. He has a B.S. in Business and an MBA from the University of Akron. He recently received a Certified Supply Chain Professional certification from APICS. Tours planned for 4pm and 5pm. More Information: Patrick provides a holistic approach to the organization to tie Sales, Operations, and Supply Chain daily functional activities to the business plan / strategy. Utilize Consensus planning methodology to drive consistency throughout the organization. Insures KPIs and business activities are in synch. More Information: Come and participate in the Spiegel Grove Inventory Game which simulates the inventory management process for a single product in a serial supply chain. The challenges are in both transportation quality variability and product qualtiy variability so players experience uncertain replenishments and learn coping techniques. You will leave with new insights and a copy of the game to share in your own environment. Presenter - Gloria McCune CPIM has been an APICS instructor for over a decade. As a Master Instructor for the CPIM review courses, she has conducted courses for both the Akron and Cleveland chapters throughout Northeast Ohio. Her professional experience is working with distributors and manufacturers in the implementation of ERP Systems. As a managing partner of Summit Computer Systems, Gloria has been involved in more than 40 implementations in her career. She has worked with inventory issues in industries as varies as aircraft part manufacturing to floral distribution. More Information: Combi is a leading end-of-line packaging equipment manufacturer since 1979. Combi Packaging Systems engineers and installs customized, affordable packaging equipment for many industries. They design case erectors, tray erectors, case sealers, case packers and ergonomic hand-packing stations specifically for your packaging equipment application. The tour group can park in Lot 6, which is adjacent to InfoCision Stadium (west side). Parking can be accessed off Exchange Street at Union Street, or off of Spicer Street off of Vine Street. There is also metered parking outside the stadium on the west side. To register for any Akron APICS Program, please email programs@akronapics.org.